Personalised mugs or custom mugs are great promotional gifts fantastic for all occasions, Birthday gifts, Mothers Day, Fathers Day, and Christmas gifts, just to name a few! Not just a fantastic novelty gifts, why not personalise mugs to promote your business or simply supply within the workplace? With no set up costs, no minimum order! Our customised mugs are great for the workplace. Add your favourite photographs or design to our mugs, simply, upload images, text and designs, each side can be different. 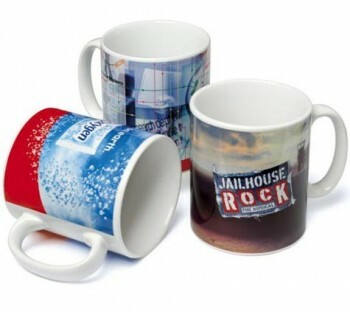 Watch your design come to life and see how quick it is to create that special and unique personalised The Mug is dishwasher safe and coated with a special photograph coating you will be truly impressed by the photo finish. We can send your personalised photo gifts direct to you or your gift recipient.